Pay-Per-Click Marketing is internet advertising model to direct traffic to websites. 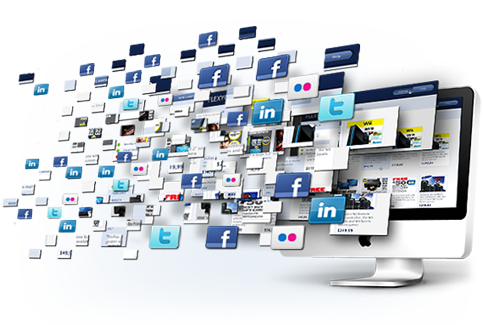 It’s extremely popular & can be used as reliable business model in your online marketing project. The idea revolves around combining top tier search engines with advertising programs – Technically, what you need as an independent online entrepreneur, is a website in place that you can use as a foundation & outlet for your Pay Per Click marketing campaigns. The 1st one is intended for publishers – The ones who are getting paid by advertisers for providing a service – Typically, providing a website space where ads are being displayed. The 2nd one is for customers – The ones who buy that service which drives traffic to their sites via ads – Typically, customer rents that web space for a fee to display their ads. 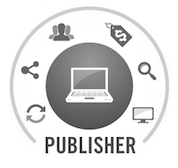 Publisher – Typically a website owner (you, if you want to EARN money) who gets paid by advertiser. Publishers are the one counterpart who are using Google AdSense – Earn money by helping advertiser to display the actual ads. How can you do that? By displaying banners that AdSense specifically provides for you & includes your personal affiliate id, on your website – It’s that simple. It’s a way how you can earn money from your online content. This type of advertising works by matching text & display ads to your site based on your visitors & content – You get ads that are relevant to your niche. These ads are created & paid by customers who want to promote their products. Since customers pay different prices & have different ads, the commission you will earn per click always varies. Customer – Typically also a website owner (you, if you want to BUY “traffic” for money) who buys advertising plan from advertiser. Customers are the one counterpart who are using Google AdWords that is specifically designed tool that helps them to build customized advertisements & set up their PPC campaign. PPC stands for Pay-Per-Click. It’s advertising approach where customer only pays when someone clicks on their ad & goes to their site – Hence the name Pay-Per-Click. The main purpose of an ad is to generate a click, or more specifically drive traffic to a targeted destination (customers websites) & pay per click is the preferred metric to calculate this action. It’s complicated system yet simple by nature. 1Google AdWords – Legitimate paid advertising platform that you can use to show your ads on Google search results pages. It’s advertising approach where you only pay when someone clicks on your ad and goes to your site. AdWords also helps you to create your ads & there’s an option to set a precise budget for your advertising plan. It’s also world’s most popular & widely used PPC platform. It’s accounting about 97% of Google’s revenue & currently Google is valued at $389.6 billion – Just an example how much money is flowing through the Google’s PPC platform. 2Google AdSense – Free to join & legitimate platform that you can use as a website owner to display Google ads on your website & earn commission by doing that. The Google AdSense program differs in that way it delivers Google AdWords ads to individuals websites. Once you’ve set AdSense ads on your site, Google pays to web publisher (you) for the ads displayed on website based on visitors clicks on ads. You can insert multiple relevant adds as banners into your sites footer, header & sidebars. It’s possible to add up to 3 adds per page. For each & every click your visitor does on these ads you’ll earn $0.1 up to $20 per click. 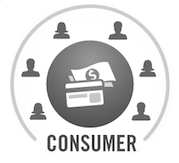 The payout always varies & is determined by ad competition as well as demand. PPC vs PTC – What’s the difference? 1 Pay-Per-Click (PPC) – This is legitimate advertising model – It’s an advertising model where customer only pays when targeted traffic clicks on their ads & goes to their site. This means you will only pay for every click that goes through your site after signing up a dedicated pay-per-click plan with program such as Google AdWords. With this advertising model you get highly targeted traffic that enters your site through the ads you are using in your PPC campaign. Since your ads are being advertised only on sites that are relevant to your niche, you’ll get visitors that already are interested in what you have to offer & have high potential to become your customers. To help you to get quality traffic only, legitimate online advertising companies are also actively trying to fight against click fraud & Google also refunds “invalid” clicks as much as they can. This is happening on regular basis, but in reality there are always more “empty” clicks than Google can actually detect & refund. 2 Paid-To-Click (PTC) – This is click fraud – It’s a type of scam where unscrupulous sites generate fake clicks from people who are absolutely not interested in products. It’s also called ghost traffic or artificial traffic – What’s the point of getting 100 000 visitors to your site if they won’t convert nor read your content nor buy your stuff. In other words it’s completely meaningless audience. These are NOT targeted visitors. They just click on ads to bang a buck for themselves which doesn’t help your marketing campaign. Those visitors goal is only earning money for themselves through the paid click schemes simply by viewing as many ads as they possibly can. Paid-To-Click is more like a grey area way of driving traffic to your website. There are multiple paid to click companies out there that promise excellent traffic to your site. They have ads that are served up to subscribers within membership network & are meant for specified websites only. Those ads are likely displayed for negotiated period of time, subscribers get paid per click if they click on ad & if they view the ad for duration of the ad display time. That creates yet another problem, as these visitors likely leave your site after couple of seconds, it causes very high bounce rate for your site. High bounce rate indicates to a fact that your visitors don’t value your content. Once search engine discovers high bounce rate, it thinks automatically that your sites content has very low value = You lose your page rankings in search engine. Option to Buy PPC plan – You can set your own budget: You can get exactly as many clicks on your content & targeted traffic to your website as you’ve payed for. No less, no more, it’s as accurate as it can get. Google AdWords is a legitimate platform to help you to create your ads & set them up in relevant places. Additional option to Earn Money – If you’re not after buying a PPC advertising plan yourself, you can always to become publisher & earn money by displaying ads on your website to help those who buy PPC plans. Google AdSense is FREE to join, online platform that is specifically designed & has legitimate business model to earn money online by displaying ads on your site. Option to target Keywords – It’s huge advantage of PPC marketing – You might have your own brand & you need a very targeted audience. This results in higher conversion rates as you get visitors on your site who are likely to become customers as well & buy your products. Quicker Results than SEO – If you want faster exposure PPC can be a way to go. Organic search is great in long term, but the downside is the time it takes to get rankings in search engine. With PPC plan you can almost instantly make your campaign visible. You get a quick exposure through displaying ads on multiple sites that results in creating a lot more of brand awareness. Highly Targeted Traffic – Your ads are not going to be displayed randomly: They will be displayed on sites that are relevant to your niche. This means the visitors you get are highly targeted individuals that are already looking for & interested in this particular topic you offer – You get exposure to an audience that has a huge potential to create a lot of new customers for your marketing campaign. You can target specific region – It’s an excellent way to display ads in specific area, state or city – For example if you’re a restaurant/gym/store owner you can target the potential customers near your locale. Google AdWords platform is very reliable way to achieve all of that & get exposure to your brand. You can target globally – Exactly the same thing as with targeting specific regions, this time you’re doing the opposite. It’s one of the greatest aspects of PPC marketing, you have a lot of control WHERE do you want to display your ads & what kind of audiences do you want to involve: Local audiences or international audiences – The choice is yours. You can track your ads – PPC enables you real time tracking: You can get instant information about your campaign performance. You can check your ad messages, keywords & track the traffic your ads are directing to your site, plus it calculates how much of this traffic converts into actual sales. It’s excellent. Why? Because with real time tracking, if you spot an error in your campaign OR something you think doesn’t work good enough, you can quickly adjust it to make it work more effectively. Better to monitor customer experience – With targeted ads you can make sure & almost guarantee that your traffic visits the page you want them to visit. With SEO the entry point of your audience & potential customer might always be different. If you want much more controlled & precise customer experience then PPC campaign is a powerful way to achieve that. Professional support groups – Meanwhile PPC might seem overwhelmingly complicated to many people, there are a lot of experts out there who see it as a simple every day thing & are willing to help you out. There is no pressure, no obligation yet an excellent opportunity to get an answer for your every question. Your PPC advertising plan is not free – PPC costs money, you get charged for each & every click your visitors make. As the name itself states, it’s paid advertising. So, you have to knowingly set aside a budget & make a plan how much advertising you want for your site. Short term benefits – All of your PPC ads will disappear once your campaign ends. You get exactly as many clicks as you’ve paid for. 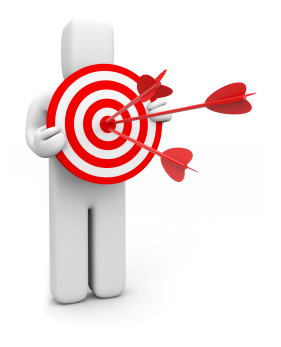 Once your PPC campaign plan expires, all the ads will be removed & the spot will be open for new customers. 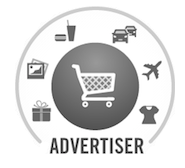 Does not guarantee any sales – You get exactly what PPC offers to you, paid advertising. It means you will be connected to highly relevant audience which is excellent, you get exposure to your brand & products BUT at the same time it does not mean that your visitors will be forced to become your customers. It’s still up to visitors whether they become customers or not. PPC advertising can be quite complicated – To make it efficient & have a point in your marketing campaign, you have to come up with precise goal & plans why & what are you trying to achieve – Otherwise the chances are you’re “burning the good fuel for nothing”, in other words you simply wasting your money. Bidding system can be total nuisance – PPC customers usually compete for top positions – Who bids more gets a spot. Sometimes it ends in bidding wars where nobody wins, price will just ramp up. It’s always good idea to do your research & be convinced what’s good for your business & what you really need, otherwise it just gets too expensive. Occasional click fraud – It’s just reality & a hot topic that’s been discussed on PPC platforms. You can see competitors who continuously click on your ads link until your PPC budget ends. It can happen when competitors bombard your ads from different IP addresses & create an expensive bill with artificial traffic. I hope you enjoyed reading my article & learned a lot about Pay Per Click Marketing along the way.